Do you have a project Moffitt Builders can help with? 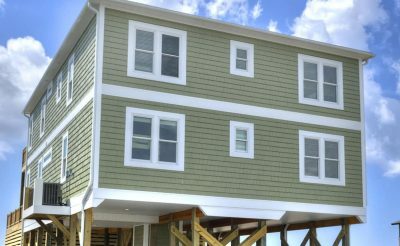 Few tasks in construction are more challenging than building a quality house on pilings by the ocean. Your builder not only needs to understand the intricacies of your design but how it relates to the sandy landscape and the biting sea air. 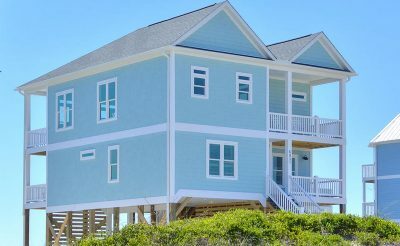 At Moffitt Builders, we believe that if you can succeed on the coast, you can handle just about any building task. Custom-built is the best way to a home that is just right for you. Bring us your custom plans or use one of ours. 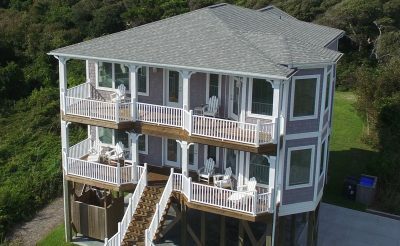 Moffitt Builders has the experience to take your custom plan and turn it into a beautiful home, inland or on the shore. Even the perfect home can use some freshening up after time. Let us make your home like new again. Building homes from scratch means we also understand the possibilities and complexities of any remodel. We all need some extra elbow room at times. Bring us your own expansion plan or let's create one together. Add a room, a new deck, or a whole new floor. Moffitt Builders can help you maximize your living space. KENNY & LOU ANNE E.
Below are just a few of the many successful projects we have recently completed. Click through for additional information on each one. Yours could be next!